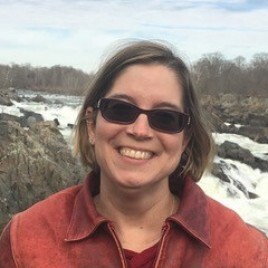 Tonya Stremlau is a Professor of English at Gallaudet University in Washington, DC. She is the editor of The Deaf Way II Anthology: A Literary Collection by Deaf and Hard of Hearing Writers (2002). Her most recent short story, “The Climax” is in Tripping the Tale Fantastic: Weird Writing by Deaf and Hard of Hearing Writers (2017). For breaks from working with words, she cooks, rock climbs, and does things with her twins.